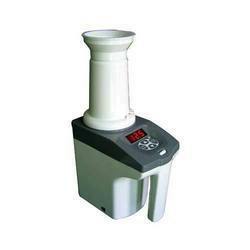 Prominent & Leading Wholesale Trader from Mumbai, we offer lskc-608 seed grain moisture meter, digital moisture meter pms 713, md-6g paper moisture meter, soil ph moisture meters, moisture analyzer and computer moisture meter. GRAIN: Paddy, Rice, Corn, Wheat. Display: 4 digits, 10mm LCD. Operating Temperature: 0~50oC or 32~122oF. Operating Humidity: < 0.8.Battery: 4x1.5AA (um-3). Size: 178 x 68 x 39mm. Designed to check the moisture level of wood, concrete, and other non-wood material. 6 % to 40 % moisture range on wood.0 to 100% relative moisture value for Concrete and other non-wood material. All in one, meter build in the test pins. Data hold function to freeze the desired value on display. Microprocessor circuit ensures high accuracy and provides special functions and features. Operates from DC 1.5V ( UM4/AAA ) x 4 PCs batteries. Built-in low battery indicator.With the pins' protection cover.Durable, long-lasting components, enclosed in strong, compact ABS-plastic housing. Digital intelligent MCU paper moisture meter can work on 3 types paper (carton, copperplate paper, writing paper) through the spring contact precise measuring. 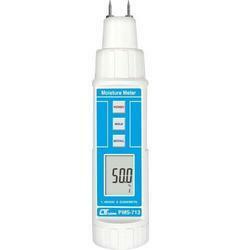 We are involved in procuring and supplying a wide range of Soil pH/ Moisture Meters. 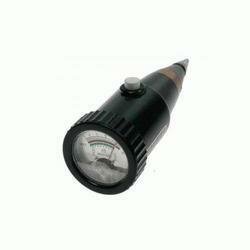 These Meters are manufactured using quality basic material and exhibits corrosion resistant finish. Widely used in Laboratories, Manufacturing Units and Chemical Industry, these are further offered in customized solutions to meet client's requirements and specifications. 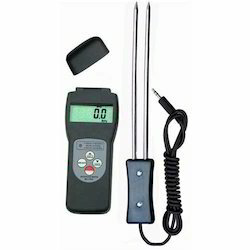 Digital Soil Moisture Meter LUTRON Taiwan model : PMS-714 (Pen Type), Range : 0-50%, Heavy Duty Probe: 20cm. Long IP-65 water resistance. 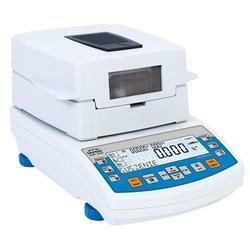 The full featured, compact moisture analyzer for every budget. Perfect for environmental, quality control, food and beverage, chemical, pharmaceutical industries, and more, this fast, rugged analyzer gives you the flexibility you need and the accuracy you require for moisture determinations. The instrument combines state-of-the-art heating with highly accurate weighing technology to deliver a faster, more precise method of moisture analysis. Infrared halogen technology begins drying your sample in seconds. The unique gold reflective housing serves to create a more uniform distribution of heat, improving analyzer accuracy. The user friendly software design of the instrument simplifies operation as it walks you through the convenient test set-up parameters. The unique display allows you real time access to drying curve and results, at the touch of a button. Display shows % moisture, % solids, weight, time, temperature, drying curve and more. 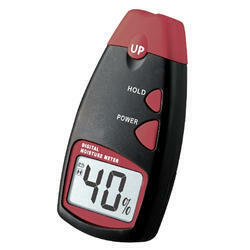 Looking for Soil Ph / Moisture Meters ?